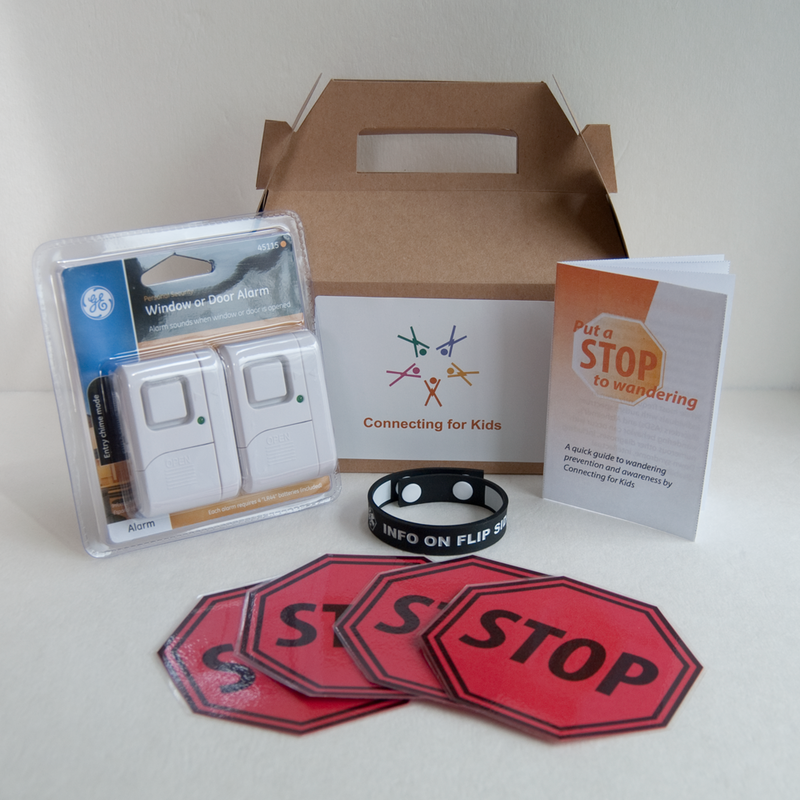 The Connecting for Kids wandering safety kit is designed to help your family begin its conversation about wandering and how best to prepare for it. Each family's needs will be different, and while this kit contains some tools that we hope will be useful, Connecting for Kids encourages you to use an approach that encompasses each of the different aspects identified in the S.T.O.P. wandering tips. Limit one kit per family, while supplies last. For information on donating a kit, see our Community Wandering Resources page.